The Duchess is a brand of non-alcoholic gin and tonic. I know right? That makes no sense. It’s not just alcohol free – it’s also sugar free. 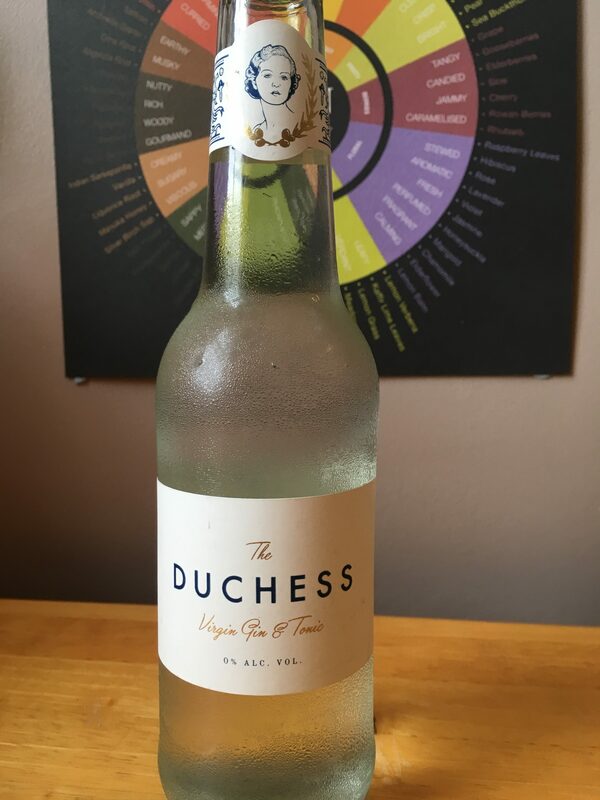 Created for the “conscious consumer”, The Duchess blends re-distilled juniper berries with botanically infused tonic water. Basically it tastes like a gin and tonic thanks to the juniper and orange peel, all spice, cardamom and cloves. The important questions are: 1) is it any good and 2) does it taste like gin? Note: I met Tiger Gin at Imbibe Live and they were kind enough to send me a sample for the blog. Tiger Gin is the product of JJ Lawrence (who starts emails with “Hi Tiger” FYI), a Shropshire lad with a passion for gin. He did what we all have thought about doing – wouldn’t be be awesome to make my own gin? And, well, he did it. What followed was a lengthy court battle against a global brand (Tiger beer familiar?) 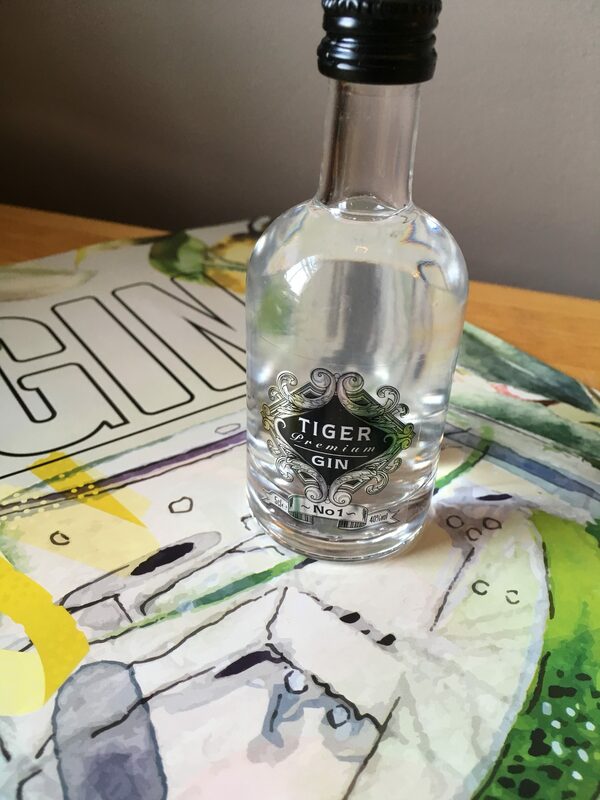 to be able to use the name, but finally Tiger Gin arrived. Using botanicals such as juniper (from the Balkans), coriander seeds (Eastern Europe), dried sweet lemon peel (Spain), cassia bark (China), nutmeg (West Indies), cinnamon bark (Madagascar) and two secret ingredients all blended with 100% grain spirit and pure English water, this gin is a global product. 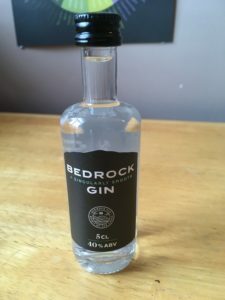 Note: I met Bedrock Gin at Imbibe Live and they were kind enough to give me a sample for the blog. Bedrock Gin are not a new brand, as I found out at Imbibe Live. They have been going for nine years from the Cumbrian Lake District. Founder Vince Wilkins was inspired by the beauty of the Lake District, and working with a master distiller blended his botanicals with Cumbrian kiln-dried oak bark thus making Bedrock Gin. Winning silver at the IWSC in 2012 and 2013, they won gold in 2016 – winning plenty of other awards along the way. Made with 11 botanicals including citrus peel, liquorice and cinnamon, they suggest serving Bedrock with a slice of lime and a garnish of basil. 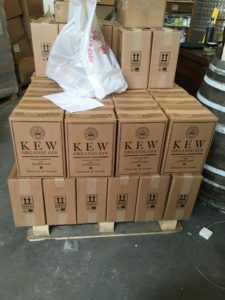 At Imbibe Live I visited the London Distillery Company stand and they invited me to visit them. I had a day off work so thought why not? I met Toby on arrival in one of the many arches less than a mile from London Bridge station and discovered that he’s my kind of man – in that I walk in and he instantly offered me gin. So I started drinking and he started telling me about their gins. When founder Darren Rook had a slightly drunken discussion with former microbrewery owner Nick Taylor, they decided to make a whisky in London. Then, because whisky needs three years to age in barrels, whilst they were waiting for that to mature they thought, hey, let’s make some gin! And so Dodds was born. 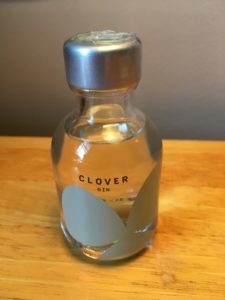 Note: I met Clover gin at Imbibe Live and they were kind enough to give me a sample for the blog. Clover gin hail from Belgium and have a lovely bottle. That’s kind of why I got chatting to them at Imbibe. A soft round bottle with a simple design – it’s a winner. The product of an eight month journey for three sisters, the gin features coriander, juniper and cardamom as a base, topped with pear and lavender for a perfumed finish. The secret ingredient? Clover (get it? from the name). Like the three sisters, the three leaved clover adds something unique to this gin. They suggest the perfect serve comes with fresh coriander leaves and a slice of ginger. Note: I met One Gin at Imbibe Live and they were kind enough to give me a sample to try for my blog. One Gin is produced by multi-award winning master distiller Sarah Thompson (a local gal from Blackdown spirits in Sussex). As a brand, they’ve been selling water and soft drinks since 2005 – if you haven’t heard of One Drinks before, they put some of their profits into helping the 663 million people around the world that don’t have access to clean drinking water. Over 2 million people die every year from a waterborne diseases and thousands more – usually women – are trapped in a cycle of needing to walk miles to the nearest clean water supply. 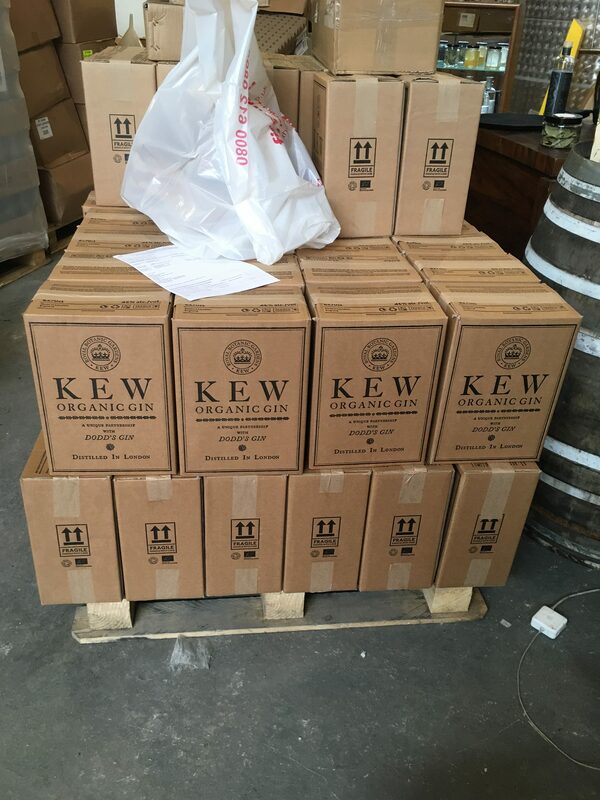 One “Sage” Gin uses 9 botanicals which are distilled in a London Dry style, then the gin is further distilled with their signature fresh sage, foraged from the distillery’s grounds. 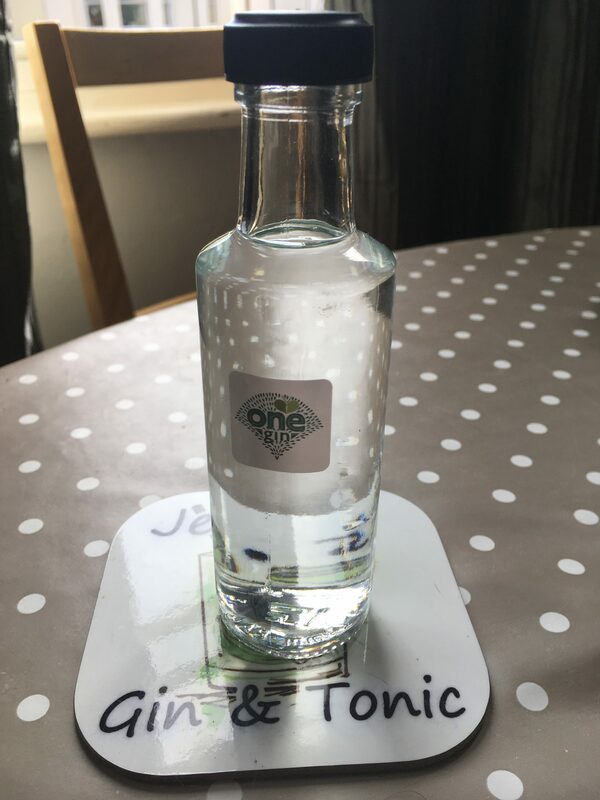 One Gin have the aim of raising £20 million for water projects by 2020, so if you like your gin to have an ethical mission, then this is the one for you. Note: I emailed Wicked Wolf gin and they kindly sent me a sample for the blog. As usual, you’ll know if it’s not quite the one for me. 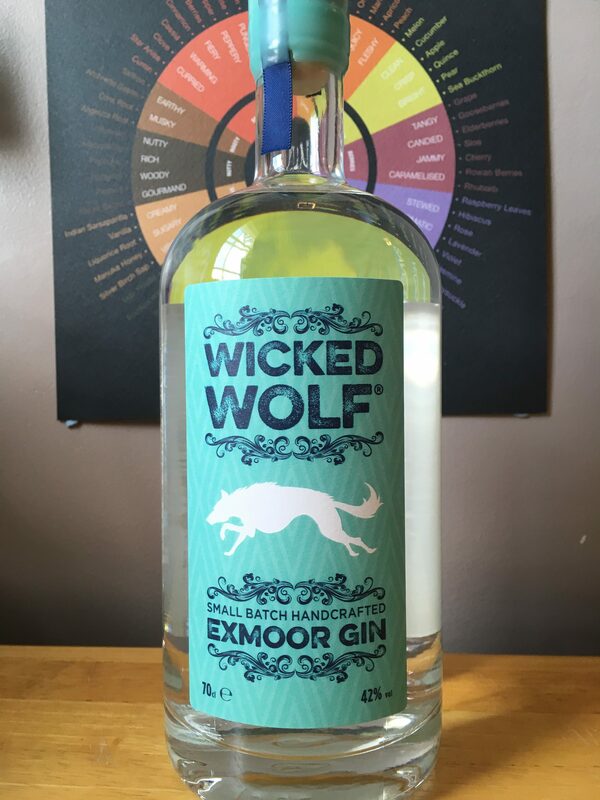 Wicked Wolf gin hails from Exmoor; using 11 botanicals the gin is distilled on the banks of the River Lyn by husband and wife team Pat Patel and Julie Heap. Made in a copper still, the gin is blended, filtered, bottled and labelled by hand in 100 litre batches. The gin is bottled at 42% and features traditional botanicals juniper, coriander seeds and cardamom pods with the more exotic kaffir lime leaves, lemongrass and hibiscus. Currently, unless you live in the Devon/Somerset area it’s a bit tricky to find in a pub or shop (although you can find it in Twenty One Wines in the Laines, Brightoners), but it is available online.